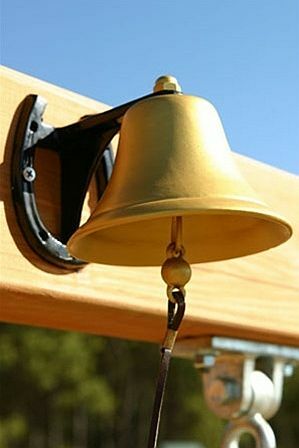 When your child gets ready to ring in neighborhood friends, this dinner bell is the best way to do it. 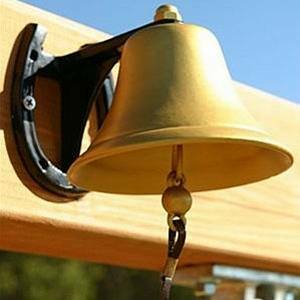 This bell can be used to call everyone or used in many games as a signal. This entertaining Dinner Bell comes with a unique galvanized bell and a universal horse shoe mount. It can simply be mounted on any residential swing set. For Rsesidential use only.